Boss’s Day is a time to show your employer that you care about them. Without them, where would you be? They hired you, they take time to educate you and they sign your paychecks. You spend more than 40 hours a week with them. For some field service industries employees, they'll likely spend more time with their boss than they do their family and friends. This Boss’s Day, October 17th, why not make it a special one for your employer? 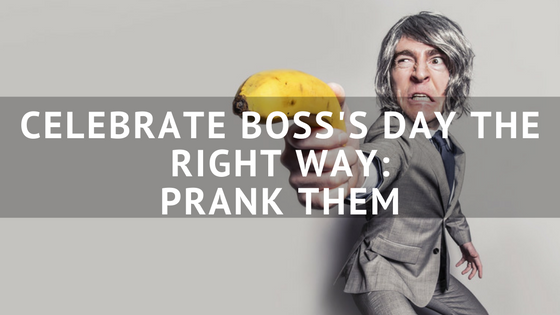 Here are 7 pranks to show your boss that you really care! Does your boss have a sweet tooth? Your boss will be completely unsuspecting since caramel apples are so common in fall, just tell him that you wanted to give him something for Boss’s Day. 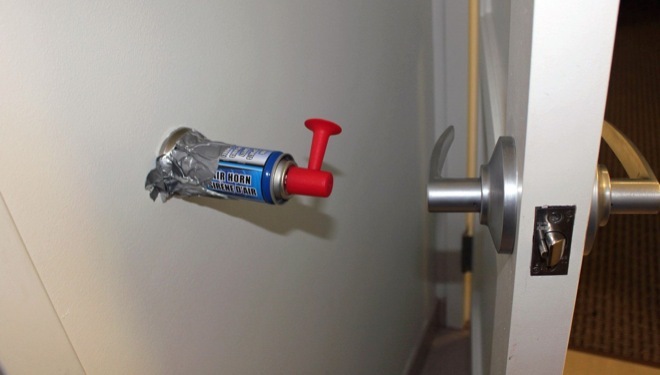 Most field service businesses have a pretty early start time for their working days, which make airhorn pranks all the more fun! Rig something up similar to this for when they walk into the shop for the day. Or, set one up underneath their office chair. Both in tandem would work nicely, too. It shows them that you care about their special day. Lawn care pro? 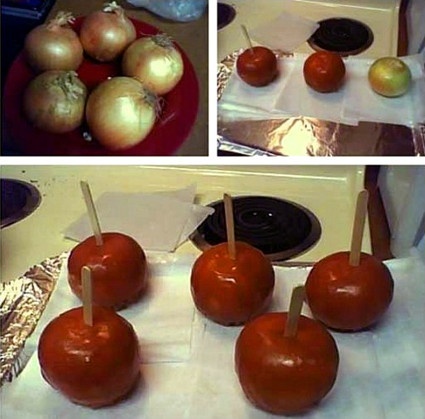 This prank is perfect for you! I have to admit, I’ve never seen this one before. Incredibly ingenuitive. 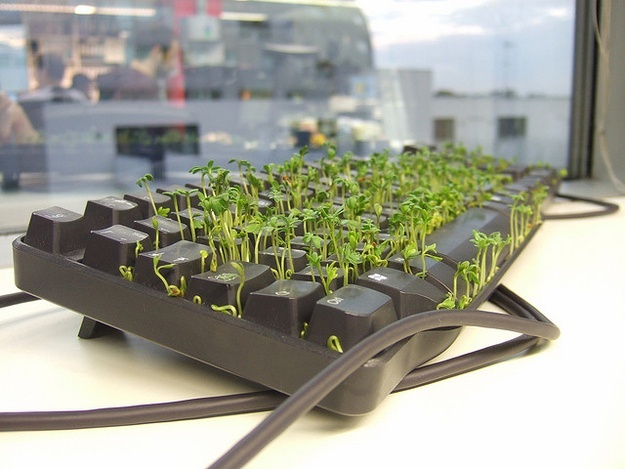 If you’re in the lawn maintenance business, why not use your knowledge to set up this awesome prank for your boss? Food pranks are hilarious because of how excited people get and then how let down they become when they learn the truth. 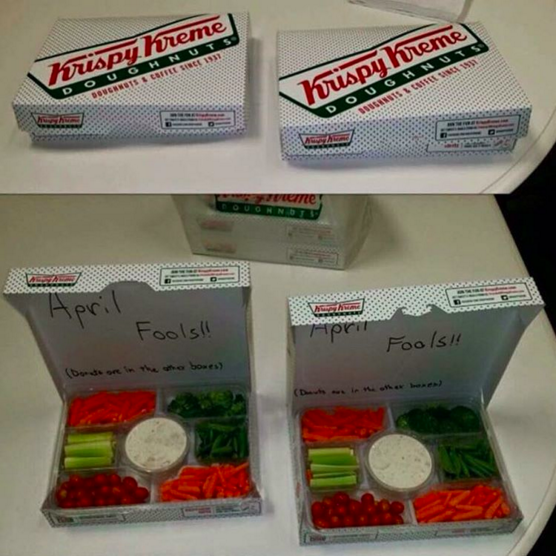 If your boss is a donut loving human(who isn’t, for that matter), this prank will be the ultimate act of betrayal. If any of these are a fireable offense, this might be the one! It seems like most field service professionals take great pride in their work vehicles. I know that when I worked for a tennis court resurfacing company, there were times that my boss was seemingly more concerned with his trucks’ safety than he was for ours. 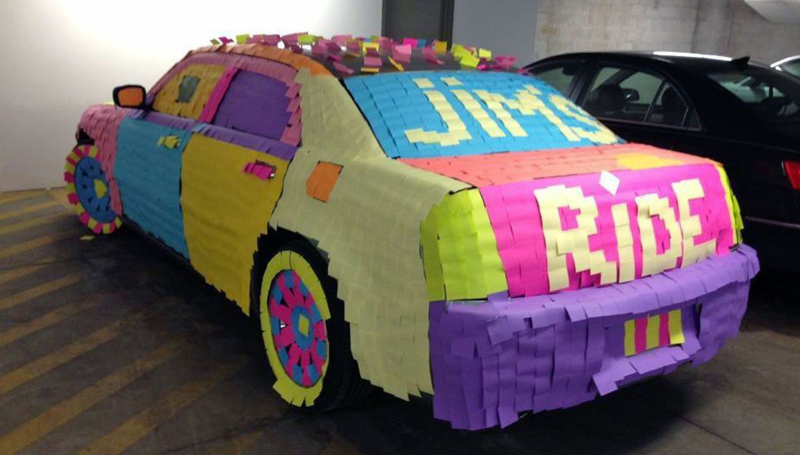 If you get a window of time that you know your boss will be away from his favorite ride, get a few packs of sticky notes, get the crew together and start covering up his ride! The beauty of this one is in its simplicity. After a long day out on the job, your boss most likely will come back to the shop and wash off some of the grime from a long day’s work. Well, many oil based lubricants look surprisingly similar to hand soap. What if your boss hypothetically leaves a set of extra keys to his truck at the shop. And what if you hypothetically filled his entire truck with foam packing peanuts? Here’s where you can get those peanuts. Pool some money together with the rest of the crew and have at it! 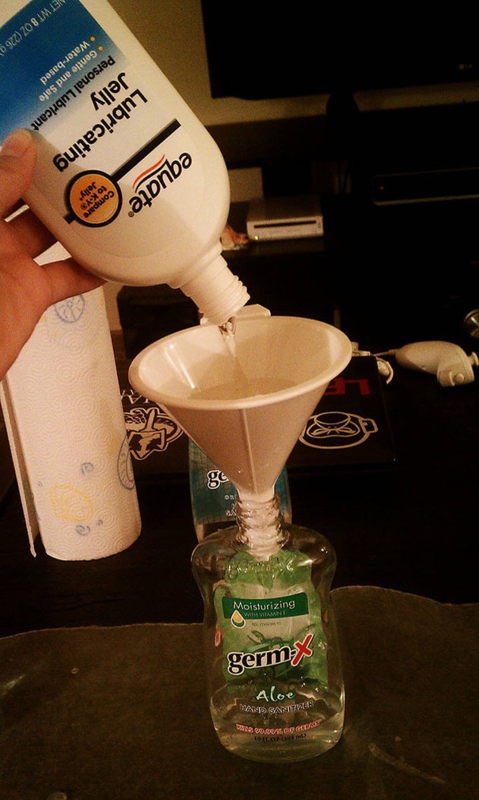 Want more time in the day to get these pranks done? 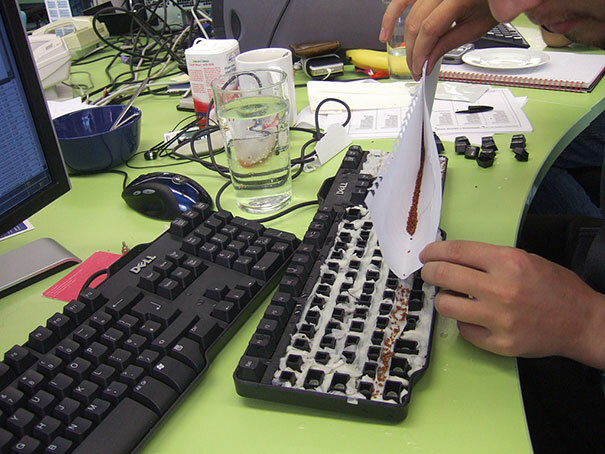 Or maybe even get more work done? Watch our demo below to see how HindSite can help save you time and money!